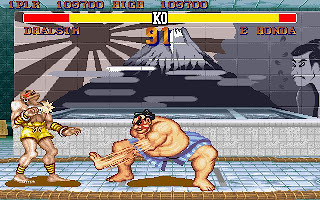 Street Fighter 2 is the ultra famous arcade game released in 1991 by Capcom. 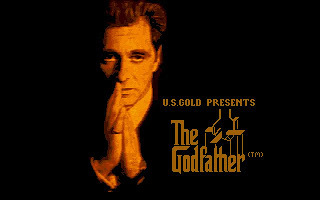 The Dos port was produced by U.S. Gold in 1993. In Street Fighter 2, we can pick one of the 8 main characters to start with. 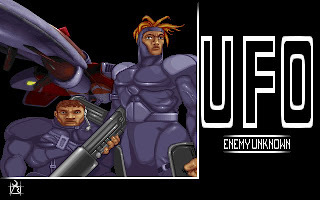 Our mission is simple: to defeat all other opponents and finally destroy the bad guy M. Bison. 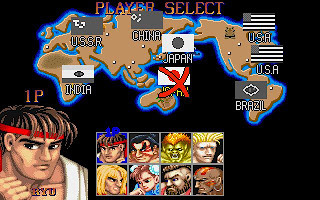 The eight main characters are Ryu, Ken, E. Honda, Chun-Li, Blanka, Zangief, Guile and Dhalsim. 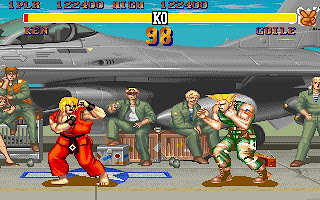 Due to the ultra popular status of Street Fighter 2, each of them has appear in numerous comics and film adaption, and each one carries their own background stories. Under M. Bison, there are Balrog, Vega and Sagat. Balrog is an American boxer, Vega is a Spanish cage fighter while Sagat (who is the boss of Street Fighter) is a Muay Thai master. 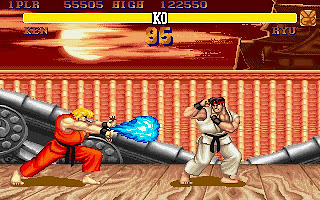 The Dos port of Street Fighter by U.S. Gold however lack the feel of the arcade version. There are only two attack buttons, kick and punch. 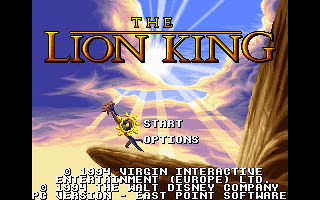 Unlike the arcade version, there are no light, medium and heavy button for kick and punch. 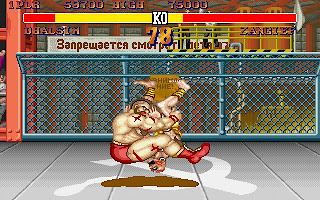 Beside lacking of attack buttons, the movement of the character is also not accurately done. We will jump too high, move too slow, and too easy to defeat an opponent. 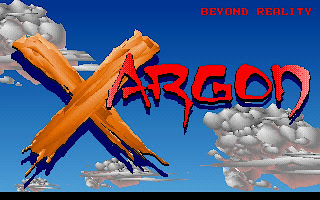 Anyway, you can still have a taste of Street Fighter 2 with the Dos port, the graphics is still as pretty as the original. 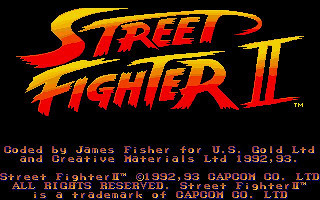 You can download Street Fighter 2 here.